We will design EYE CATCHING, UNIQUE style Business Card in professional quality. You will get minimalistic and very professional business card for your company which will reflect your business seriousness and make a long lasting impression to your clients. We provide decent yet innovative designs according to your business and concept to fulfill your needs and to stand out from rest. 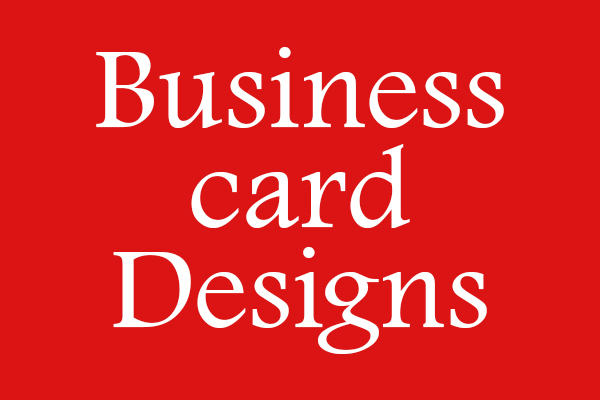 I will make single and double sided advanced, clean and neat, awesome Business cards. All you need to do is place your order, give me a few details as requirement on the Card and then leave the rest to me. Double or one side card. I deliver JPEG, PNG, PDF output. I will create a QR code (if you required).